The intriguing perfume Guerlain x JonOne Bee Bottle is very limited edition collection for only $11,120 at Guerlain Boutiques. The Guerlain’s Bee Bottle is JonOne’s unlikely canvas in his atelier in Paris. For those who are not aware, JonOne is a New York-born and Paris-based graffiti artist and painter. 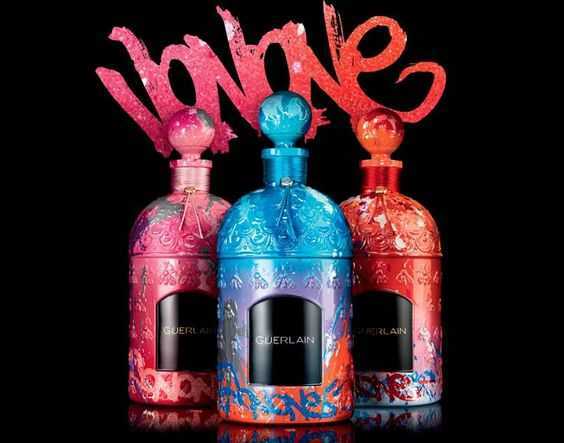 The perfume has 3 varieties: Shalimar in blue tones, Rose Barbare in orange tones, and La Petite Robe Noire in pink hues.